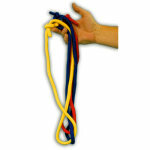 Seven different color ropes tied together turn into one striped rope! 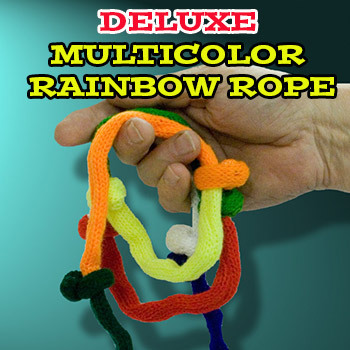 Very easy rope magic- and so colorful! No skill needed for this amazing deluxe rope trick! And why is it called DELUXE? 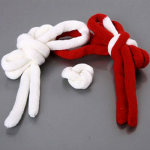 Because OUR VERSION of this great effect is made with the most VIVID COLOR and SOFT WOVEN KNIT COTTON- not coarse rope! The extra softness makes it so easy to handle! 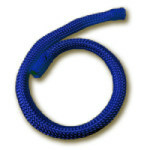 We call it "rope" because it is a "rope" type trick, but the material this is made from is SO different and pleasant to handle. 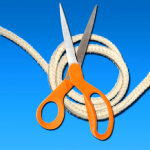 Show your audience this crazy combination of different color ropes, with a knot in between each color. If your audience is young, they will enjoy naming the colors with you! 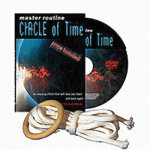 Then simply wrap the ropes around your hand, and close your hand into a fist. 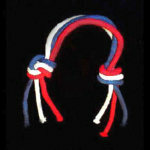 When you open your hand again, the knots are GONE and the ropes have become one long multicolor striped rope! 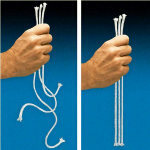 If you can roll the rope around your hand, you can do this trick! 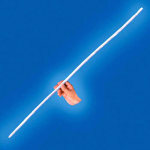 Perfect for talent shows because it is easy and shows up well from a distance! 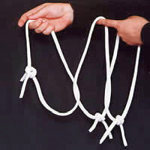 See more tricks with ROPE! Buy this item - get 4 Rewards Points!